Our HistoryWe make our sodas just like our founder did over 100 years ago. Classics Learn more about our classic soda, seltzers, and diet flavors. TOTALLY Gross Soda® They're SODAsgusting®! Old-Fashioned Beverages With Classic Taste. Sherman F. Avery began making soda in the red barn on Corbin Avenue in the summer of 1904. 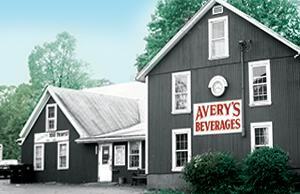 Avery's quickly became known for its variety of flavors, especially the Cream, Birch Beer, Root Beer and Ginger Ale. Avery's bottles and sells premium old-fashioned Soda in over 35 flavors. All are made with real cane sugar, the finest quality ingredients. "Avery Around the World" Coming soon in 2016! This is the best soda available anywhere! Show your love of Avery's with our t-shirts, hats, bottle openers, vintage signs and more! Bring your group for birthdays, scout groups or a fun family outing. Where have YOU seen Avery's soda? Send us your photos to be featured here! Custom labeled soda- special events, Birthdays, Graduations, Weddings, Restaurants, Stores. We love our fans! Like us on Facebook for events, deals and latest news!